Thieves have stolen two cars worth around £27,000 from a car dealership in Plymouth. The culprits targeted the Vospers storage yard in Thornbury Road, Estover. They smashed through a metal barrier before breaking into a secure box containing car keys and stealing two Peugeot vehicles as well a spare tyre from a third, the Plymouth Herald reported. Robberies such as this demonstrate the value of having a good combined motor trade insurance policy in place. First and foremost this would offer cover for the vehicles and parts stored on the premises. Furthermore, it would provide cover for the premises itself, which is important should the thieves damage parts of the building when entering or exiting. The incident at Vospers car dealership happened in the early hours of Sunday morning (17 August) and detectives are appealing for information from anyone who may have seen suspicious activity at the site during this time. 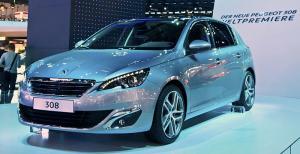 Police are also asking for anyone who sees or hears of the stolen Peugeots being sold on to come forward. The stolen vehicles are a grey Peugeot 308 Allure, valued at £15,000 with the registration number WF14 GEU, and a white Peugeot 2008 Allure, valued at £12,000 with registration number WF14 GGP. Detectives also say there was an attempt to break into the secure key box two nights earlier.